Since we sold our first pint in January 2015 the brewery has grown steadily and one of the reasons for this is our great staff. We are only as good as our people and we understand that everyone who joins us will have an impact on the future progression of the brewery. That’s why we are always keen to hear from like-minded, enthusiastic and passionate individuals interested in joining our team and developing their careers with us. The brewery is a 15 BBL plant and we currently have 9 (soon to be more) fermenters. We also have a 2.5 BBL test kit where we create our smallbatch brews and test our ideas. 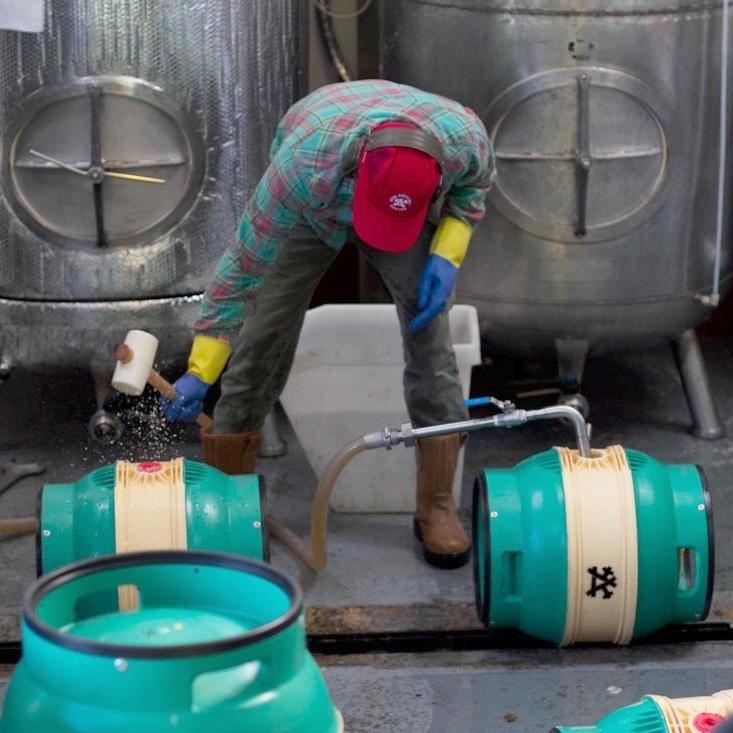 All our beers are brewed and packaged - cask, keg and can - here at the brewery so there’s plenty to do! We are situated on a beautiful organic farm in the heart of the Sussex countryside, so beautiful though it is, one thing we don’t have here is great public transport. You would really need your own. Click below to view the roles we are currently recruiting for.